Capital’s approach to healthy lifestyles for students has become more hands-on this past year, emphasizing exercise and healthy dining options. One of the biggest strides made this year is the current plan to convert The Mezz into a fitness center for students, faculty and staff. Administration ultimately decided to add this new space when they saw a need in the student body for a new fitness center. Many students find that the Cap Center is very athlete-specific. 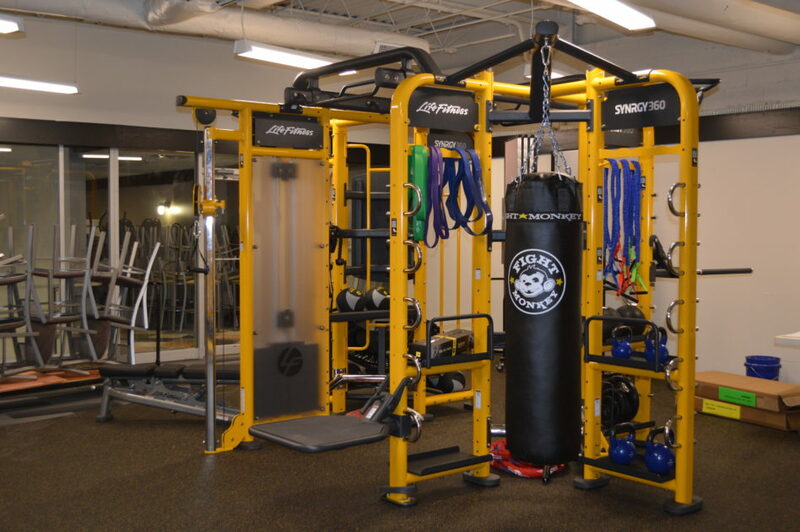 The weight room includes more free-weight machines and squat bars than other machines. There are also more student athletes this year than in years past, which has lead to overcrowding during busy hours. “We knew there was a need for something else, and this just seemed like the perfect place for it,” said Mike Horan, vice president of business and finance. The new “Mezz Fitness” will be available to students, faculty and staff but cannot be reserved by athletic teams. The space will include a locker room for guests to store personal items safely while they work out. One room in the center will include six to eight spin bikes, which are equipped with WELLBEATS, a software that allows guests to program a group cycling workout. 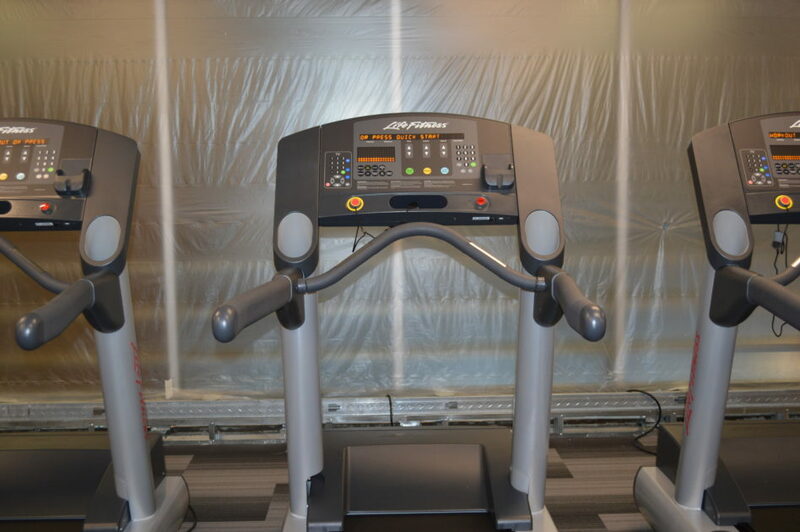 Ellipticals and treadmills will be along the windows. The windows will be frosted to about waist level, limiting the view from below in the Capital Court. Ten televisions will also line this wall, and headphones can be plugged into the machines to receive audio from them. Workout equipment will be in the middle aisles and will resemble machines one would find in a Planet Fitness instead of free-weight machines like those in the Cap Center. There will also be one or two synergy machines available, which allow for several different forms of upper body weight lifting. A room will also be provided for dumbbells and free weight exercises. Restrooms will also be inside the fitness center. No showers are included currently but may be included in a third phase if needed. There is also a concession area in the center; administration and Aramark are considering creating a juice/smoothie bar, which would be part of the CapBucks program. This potential juice bar as well as the reception desk in the center will be opened up as job opportunities for work-study students. This most likely won’t open right away, as administration wants to test the amount of traffic coming through the center before creating it. The third floor will also include a seating area right outside the center, which will serve as a student lounge space. “This could all evolve—we can see what students are using and not using and re-work things to cater to that,” Horan said. There is still room to expand in other areas of the third floor if feedback indicates a need for other machines or rooms. The fitness center will have a greater range of operating hours for students than the other parts of the building, and students will be able to access the third floor when other areas are closed. Mezz Fitness construction is still underway but is set to open at the start of the spring semester in January 2017. Administration hopes that this will serve as a more accessible fitness center for the non-athletes on campus and anticipates student feedback on possible improvements.